This book is a comprehensive study, which provides informed knowledge within the field of Islamic economics. The authors lay down the principal philosophical foundation of a unique and universal theory of Islamic economics by contrasting it with the perspectives of mainstream economics. The methodological part of the theory of Islamic economics arises from the ethical foundations of the Qur'an and the Sunnah (tradition of the Prophet) along with learned exegeses in an epistemological derivation of the postulates and formalism of Islamic economics. This foundational methodology will be contrasted with the contemporary approaches of the random use of mainstream economic theory in Islamic economics. The book establishes the methodological foundation as the primal and most fundamental premise of the study leading to scientific formalism and the prospect of its application. By way of its Islamic epistemological explanation (philosophical premise) in the form of logical formalism and the use of simple real-world examples, the authors show the reader that the scientific nature of economics in general and Islamic economics in particular rests on the conception of the scientific worldview. 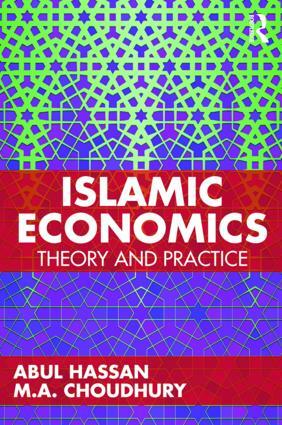 With its uniquely comparative approach to mainstream economics, this book facilitates a greater understanding of Islamic economic concepts. Senior undergraduate and graduate students will gain exposure to Islamic perspectives of micro- and macroeconomics, money, public finance, and development economics. Additionally, this book will be useful to practitioners seeking a greater comprehension of the nature of Islamic economics. It will also enable policymakers to better understand the mechanism of converting institutions, such as public and social policy perspectives. What Have We Learnt? Quo Vadis?